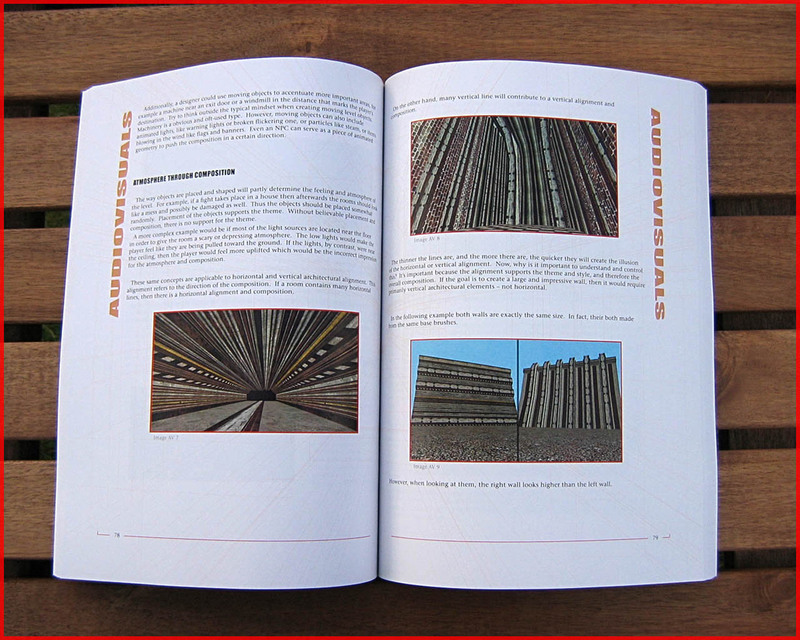 The book is a little bit aged – Moving forward the plan is to do a third edition and release it for free on this page when it is done. Estimated time of arrival late 2017 or early 2018. Aimed at amateur and aspiring level designers who wish to improve their skills. Covers design, gameplay, and visuals. Does not explain how to create a room or a light. Rather it explains the reasoning behind why you would want to make that room or light. It describes the reasoning behind the creation of virtual environments. Primarily focuses on level design for first person and third person action-orientated games. Well-illustrated with over a hundred screenshots. Features interviews with six game industry professionals. Level design is one of the most important, influential, and complex aspects of video and computer games. It is a fairly new design form and is maturing rapidly. As the available hardware capabilities and associated technology continue to increase in complexity, level design will also become increasingly complex. 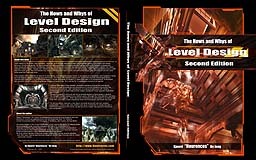 This book will help both aspiring and veteran designers come to terms with future changes in level design. Rather than addressing the usual “how to make a room”, or “how to place a light”, this book tackles how to make that room look good. The book details why certain decisions are made in order to achieve the design goal, and how to plan the route to the goal: the hows and whys. 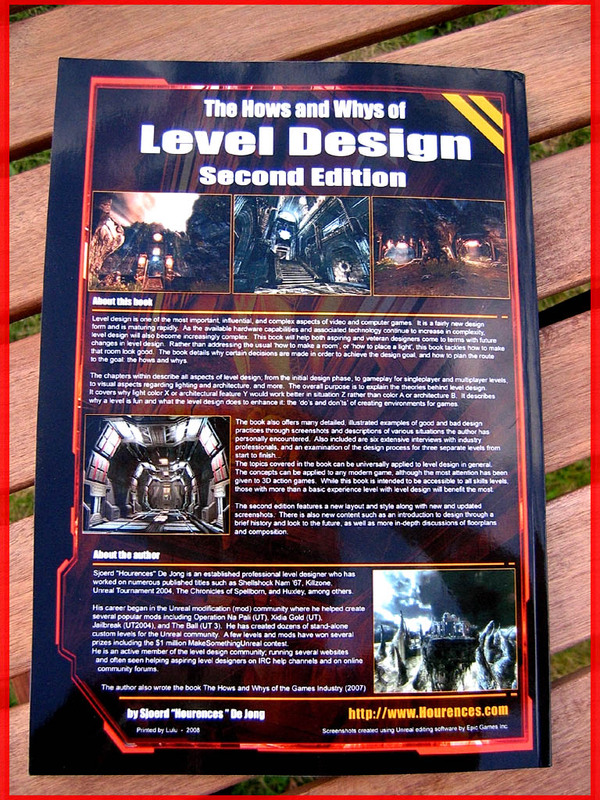 The chapters within describe all aspects of level design; from the initial design phase, to gameplay for singleplayer and multiplayer levels, to visual aspects regarding lighting and architecture, and more. The overall purpose is to explain the theories behind level design. It covers why light color X or architectural feature Y would work better in situation Z rather than color A or architecture B. It describes why a level is fun and what the level design does to enhance it: the “do’s and don’ts” of creating environments for games. The book is divided into three major parts plus two smaller appendix chapters at the end. 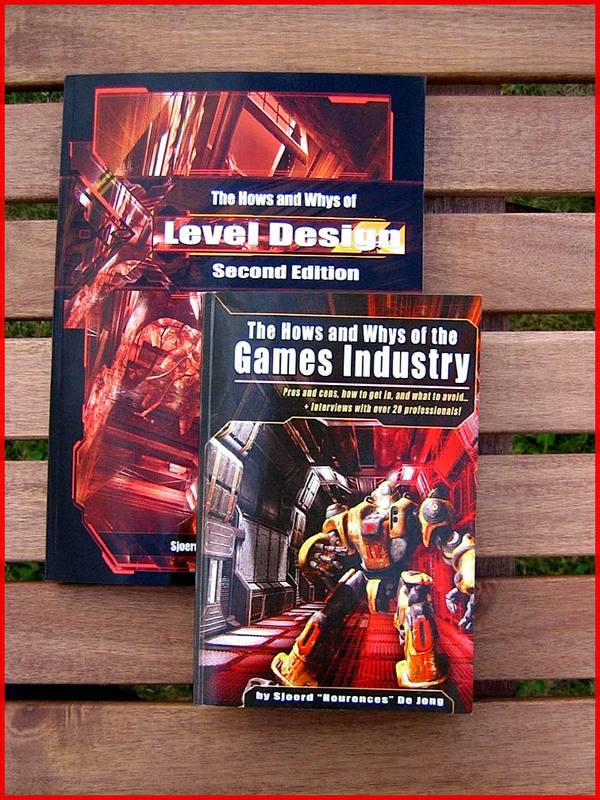 Those are: Design, Gameplay, and Audiovisuals, plus an Example and an Interview appendix chapter. All three major parts contain multiple extensive chapters. Starting with an introduction each covers each aspect in a chapter: Floorplans, Sounds, Texturing, Lighting and so on. 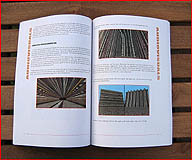 The book also offers many detailed, illustrated examples of good and bad design practices through screenshots and descriptions of various situations the author has personally encountered. 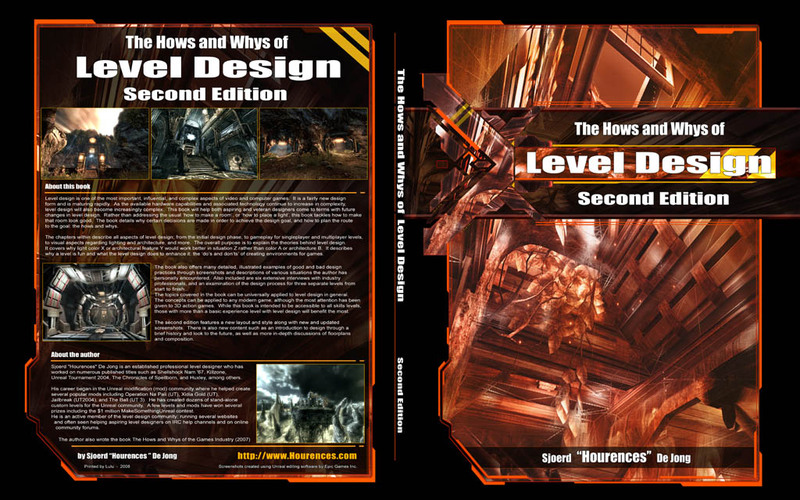 Also included are six extensive interviews with industry professionals, and an examination of the design process for three separate levels from start to finish… The topics covered in the book can be universally applied to level design in general. The concepts can be applied to any modern game, although the most attention has been given to 3D action games. I wrote this book to fill up the empty hole of “Why” tutorials and books. Most tutorials only explain the technical steps on how to make something but knowing the design side – how to make something look or play well – is just as important to know, if not more. Even a monkey could be taught how to operate a certain program and create 3D objects, but no one could teach it how to make it look and feel nice or play well. That’s where the difference lays. Certain passages in this book can be considered my personal opinion and one is free to follow it or not. However, throughout the years, I have learned that certain methods simply do work better than others. One could, of course, ignore all the tips and try to find out what works best independently, but that would be reinventing the wheel. Why waste precious time when one can start with a solid base? 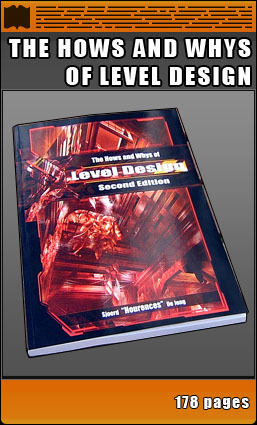 This book is aimed at hobbyists and beginning professionals who have basic experience with level creation and level editors. This book will not explain how to make a cube or add a light, and expects the reader to already know how to do those kind of things.